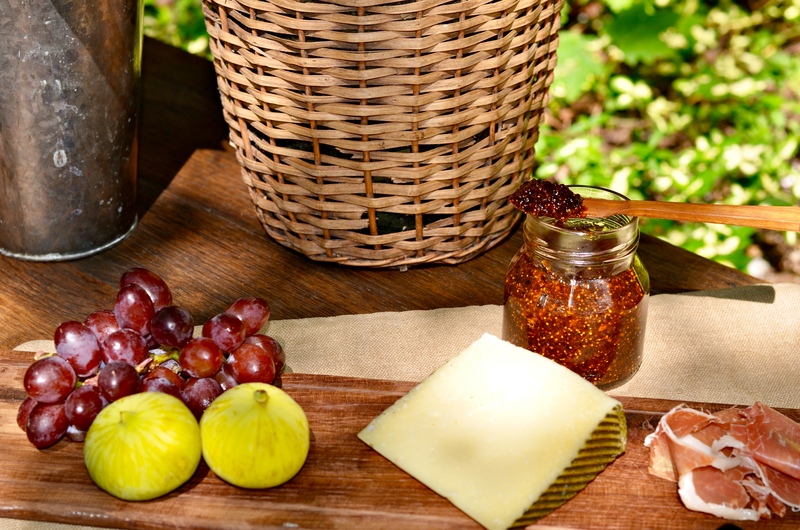 To make dressing combine olive oil, vinegar, maple syrup and mustard all in a glass jar and shake vigorously. Keep to the side until ready to use. Shake again before pouring onto salad. 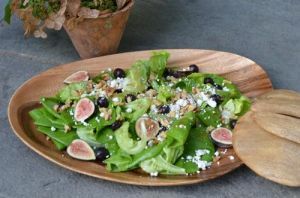 To make salad place lettuce, grapes and figs in a bowl and add 1/2 the dressing and gently toss. Add salt and pepper to taste and toss again. Arrange on a serving platter. Sprinkle salad with the goat cheese and walnuts. Drizzle extra dressing on top of the salad and serve. 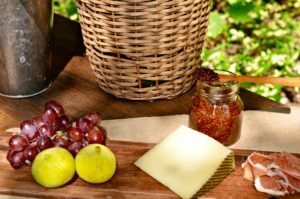 This entry was posted in salads, side dish and tagged concord grape recipes, fig recipes, goat cheese recipes, grapes, maple syrup recipes on September 18, 2014 by entertainingbythebay. I met a good friend of mine for dinner recently in Chelsea at Co. ( short for “company”) for what she described as the best pizza this side of the Atlantic Ocean. I have been spoiled by all the work trips to Italy over the years resulting in some very high standards for pizza. Well, the pizza and meal was amazing! The dough was chewy and bubbly. As soon as I got home I was on the internet looking for the recipe for this pizza dough. The restaurant is owned by the talented Jim Lahey, the founder of the “Sullivan Street Bakery”. What I was most surprised by is this is a “no- knead” pizza dough recipe. What you do need is time to allow the dough to rise, but the recipe itself could not be more simple . I highly recommend this recipe when you have the time. When I made this dough recently, I used some wonderful black mission figs and Point Reyes Blue Cheese for a fantastic fall pizza. Remember you can always be creative with your pizza toppings and they will always come out good if you use the best ingredients you can fine. Also, if you have the chance do try going for a meal at Co. , it’s located at 230 Ninth Avenue in Chelsea , New York. From by the bay wishing you crispy and chewy pizza food memories! Make pizza as directed below. 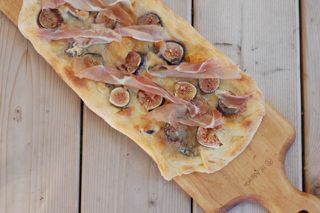 Before baking , top the dough with figs, blue cheese and grated cheese. Bake as directed. Before serving add the strips of proscuitto. This entry was posted in Pizza and tagged blue cheese recipes, fig recipes, Jim Lahey, no-knead pizza dough recipe, pizza recipes, proscuitto recipes on May 24, 2014 by entertainingbythebay.